Where can I find a woman like that? Greetings my people. 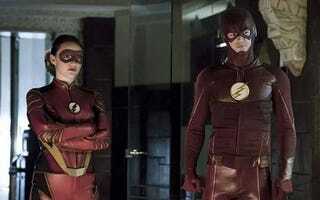 Welcome to the new Flash episode, where we finally get Jessie Quick in an awesome little outfit. So let’s discuss! Tonight I’m freaking swamped at work, so I might come react very late, but use this space as you will and I will come back and give you shits and giggles or something like that.